"Sampath Speaking" - the thoughts of an Insurer from Thiruvallikkeni: history of Eden Park, Auckland .... when it was bombed !! history of Eden Park, Auckland .... when it was bombed !! Aththachchi Nuwan Pradeep Roshan Fernando was to witness a spectacle at Chittagong… lot happening on Cricketing fields….. but before that ‘They've distanced him - he fielded at fine-leg for the whole [Australia] series. I thought he could have been managed in a better way. England lost 5-0 and need a huge scapegoat. He didn't have a great series, by his own record, but the ECB need to explain what he does that they can't manage any longer. You have to be able to manage mavericks. You can't have clones around." – thus spake former England captain Michael Vaughan – and that was about the abrupt discarding of England's highest international run-scorer Kevin Pietersen. At Chittagong, the man who has been there for close to one and half a decade Kumar Sangakkara harvested another crop of statistical triumphs becoming the third Sri Lanka batsman to hit a triple-hundred.En route to his triple, Sangakkara had become the fastest man to 11,000 Test runs, eclipsing Brian Lara's previous record by five innings. Sangakkara made his last 116 runs in the company of Nos.9, 10 and 11, and over no. 148 of Shakib Al Hasan stood out… Sanga was on 286 not out with Pradeep having faced just 4 balls. The 3rd was a boundary; 4th six over wide long on and the 5th a six over midwicket brought his 300. The isthmus was settled by Māori around 1350 and was valued for its rich and fertile land. Many pā (fortified villages) were created, mainly on the volcanic peaks. It is the Auckland Region, one of the sixteen regions of New Zealand, named for the city of Auckland, the country's largest urban area. The Auckland metropolitan area in the North Island of New Zealand, is the largest and most populous urban area in the country. In Māori, Auckland's name is Tāmaki Makaurau and the transliterated version of Auckland is Ākarana. The central part of the urban area occupies a narrow isthmus between the Manukau Harbour on the Tasman Sea and the Waitemata Harbour on the Pacific Ocean. It is one of the few cities in the world to have two harbours on two separate major bodies of water. 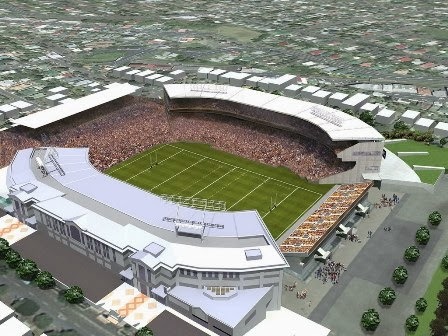 Eden Park is New Zealand's largest stadium, located in central Auckland. Eden Park's rich sporting and social history, and its international profile, is unmatched by any other stadium in the country. Although used primarily for rugby union in winter and cricket in summer, the stadium has been selected as a venue for the 2015 Cricket World Cup, to bejointly hosted by Australia and New Zealand. At one of the more oddly shaped grounds in cricket begins what looks like a Test series between evenly matched sides. New Zealand were overwhelmingly the better side in the ODIs, and in that form could steamroll the visitors, who have a poor record overseas – with no wins of their last 12 away Tests. India have not won an away Test since June 2011 when they beat West Indies at Sabina Park, Jamaica. Their current sequence of 12 consecutive away Tests without a win is their worst since 1993-2001, when they went 22 away Tests without a win. The bigger concern for India, however, is that they have lost nine of these 12 Tests, putting them at the bottom of the win-loss ratio table in overseas Tests, along with Zimbabwe. Their last tour to New Zealand was the first time in 40 years they won a Test series there, and their only Test win in that series, in Hamilton, was their first Test win in New Zealand in 30 years. The venue, Auckland's Eden Park, originally a swamp, has been a sports ground since the late 19th century. The chaotic third test of the protest-ridden 1981 Springbok rugby tour was played there, as were New Zealand's victorious finals in the 1987 and 2011 Rugby World Cups. The first-ever rugby test match at Eden Park was held in 1921, when the All Blacks played the Springboks. In 1955, Eden Park was the site of one of New Zealand cricket’s darkest days. In the second innings of a test match against England, New Zealand scored a humiliating total of only 26 runs. Four players were out for a duck, and the top scorer, opener Bert Sutcliffe, was the only player to reach double figures with 11 runs. This total remains the lowest-ever test innings total in the world.